Right Ascension blends action & adventure with subtle moral themes. Declination continues the story introduced in Right Ascension. The Twiller, available now, takes you on a light-hearted, humorous romp across the galaxy. 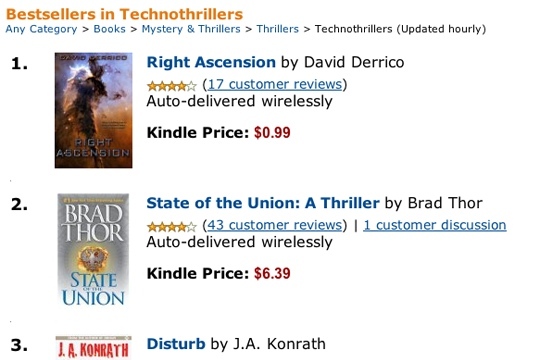 #1 on Amazon's Technothriller best-seller list! 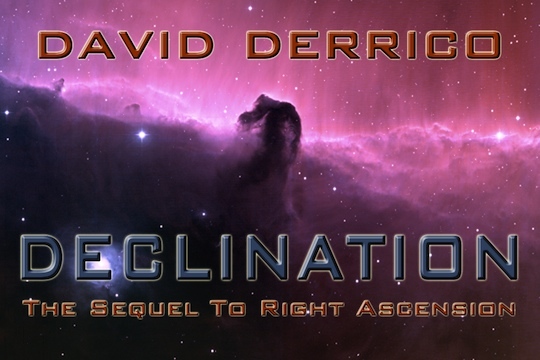 Welcome to the official website of science fiction author David Derrico. 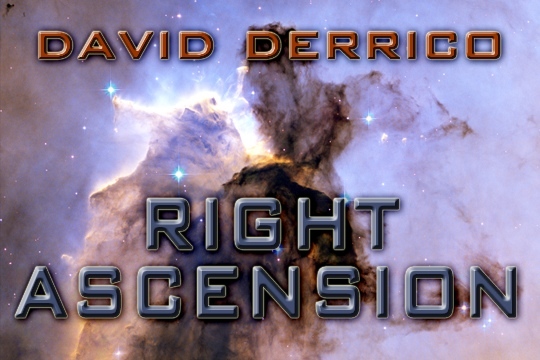 Here you can find information about Right Ascension and Declination, science fiction novels that blend action and adventure with exploration of thought-provoking ethical dilemmas. 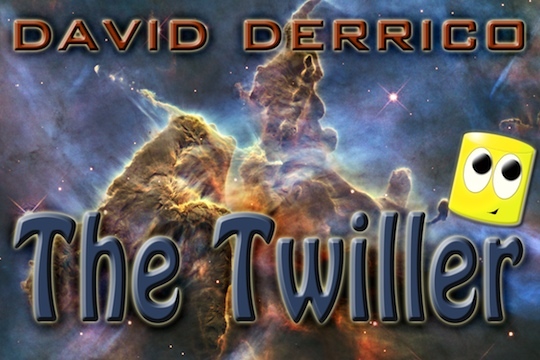 You can also find out about my latest novel, The Twiller, a humorous romp around the galaxy that takes a satirical look at our own planet and some of its maddening quirks. 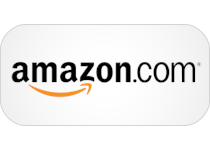 You can find excerpts and reviews of each of my novels here as well. Finally, be sure to check out my “Always Write” Blog, which covers news & info about e-books, e-readers, and the future of the written word. Enjoy! "This is a great little book and with a subject like genocide on the agenda I think it’s appropriate to raise the subject now. We humans are great at obliterating what we do not understand; perhaps Derrico’s book provides a little insight into the intricacies of the human mind." "If you are looking for a light and airy entertainment, a popcorn book with an intergalactic setting, The Twiller is a button-pusher that will keep you smiling."